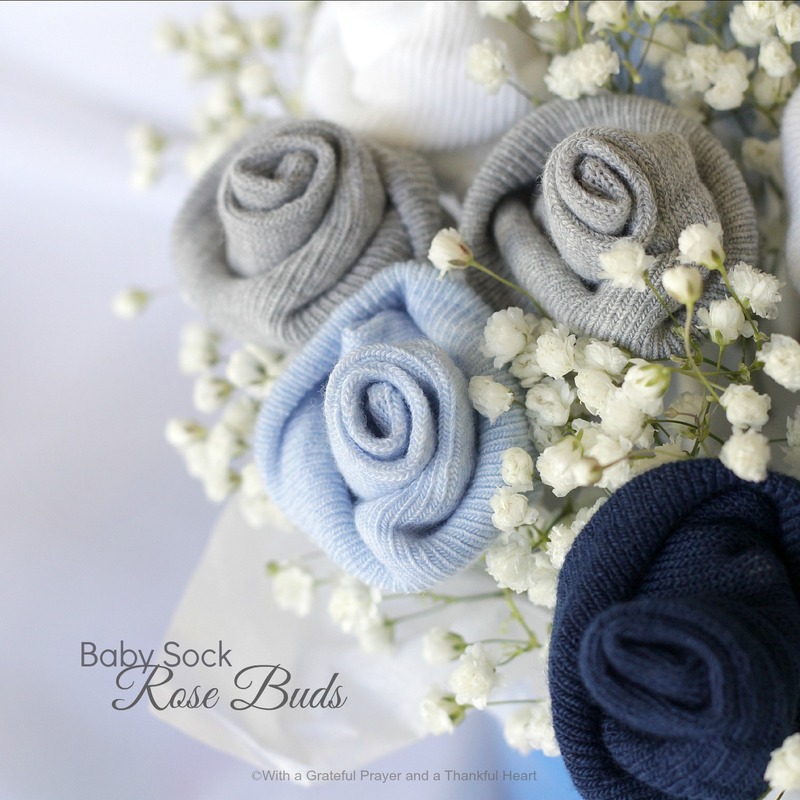 A Baby Socks Rose Flower Bouquet is a wonderful and creative baby gift idea. 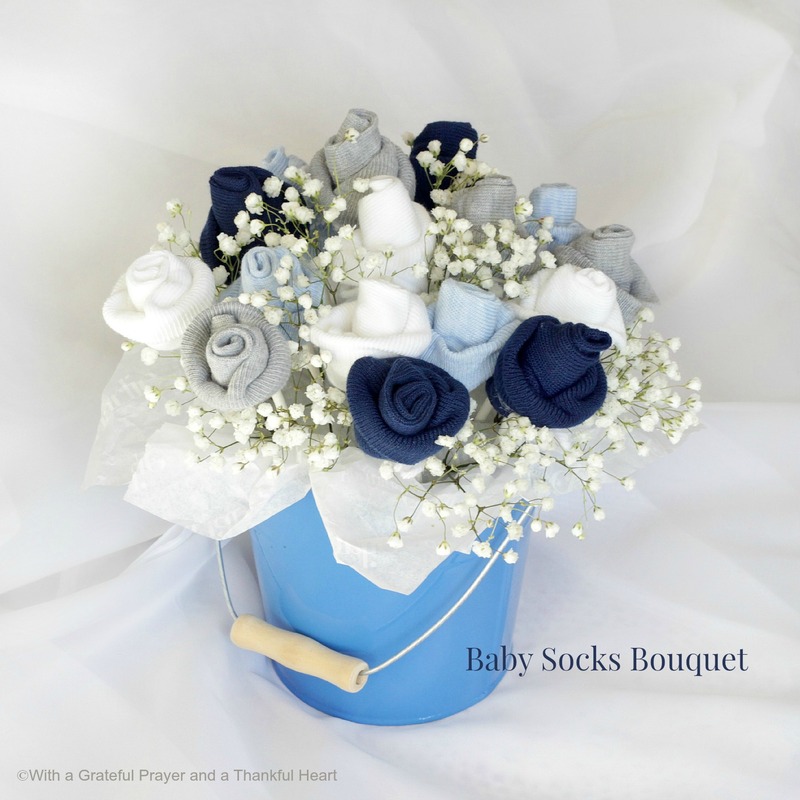 It’s simple to make your own bouquet of adorable baby sock roses in a sweet handmade keepsake container. 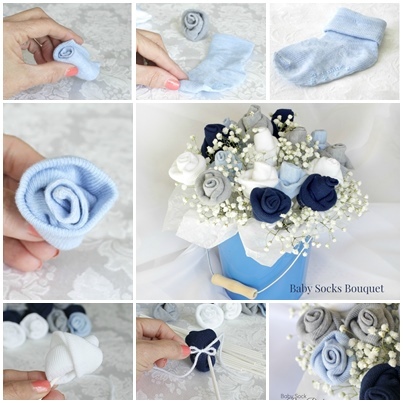 If you’re planning for a baby shower for a friend, try this cool idea!